IKEA has become the go-to store for inexpensive, modern home furnishings. Whether you are just starting out in your first apartment or looking to upgrade your home, IKEA is the perfect place to stock up on modular furniture and accessories. But…what if you need another solution beyond what IKEA currently provides? Well, you can either keep on buying more furniture or if you are especially handy you can DIY it. While there are plenty of hacks that you can take on in 2018, we’re giving you a few of our favorites. From lighting solutions to bedroom and storage fixes, we’ve got some of the most popular ideas to take your home decor to the next level. The LACK line of tables and shelving is one of the most popular series in the IKEA collection. While this is a simple table, it has so much potential. 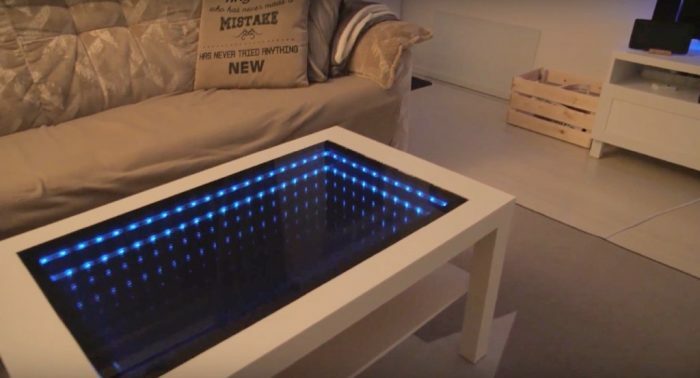 In fact, one innovative hack is to create an optical illusion using a mirror, some LED lights, solar film, glass top and a few other items to tighten up the final result. You’ll need to cut an opening into the table to fit in a mirror and once you place the LEDs above it, the solar film will go on the glass. This will create a tinted look to reflect the light. After you pop in the glass, you’ll be left with a table that will feel like you are looking into the future. Looking for new ideas for your kid’s room? Now there is a new use for those magnetic letters from your childhood. Using the MASKROS pendant lamp from IKEA, the paper flowers at the end can be removed. From there all you need is some heavy-duty glue and a steady hand. You’ll begin gluing the magnetic letters to each end of the lamp stems creating a burst of letters. 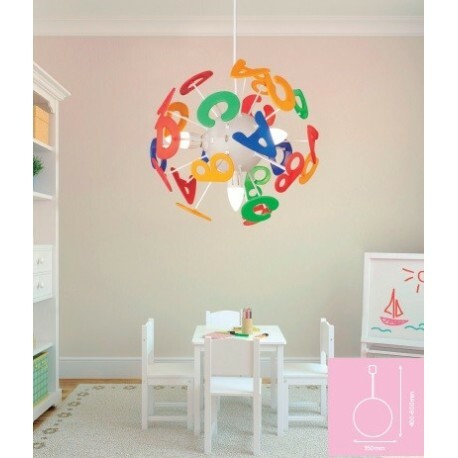 This is not only a colorful way to add some fun to your child’s bedroom or playroom, but it can serve as a good learning tool to learn their ABC’s. It’s very well known that cats have servants. One of the best ways to appease our cat overlords to make sure that they have comfy areas throughout the house. For this particularly inexpensive hack, all you need is a MALINDA cushion and your favorite chair. 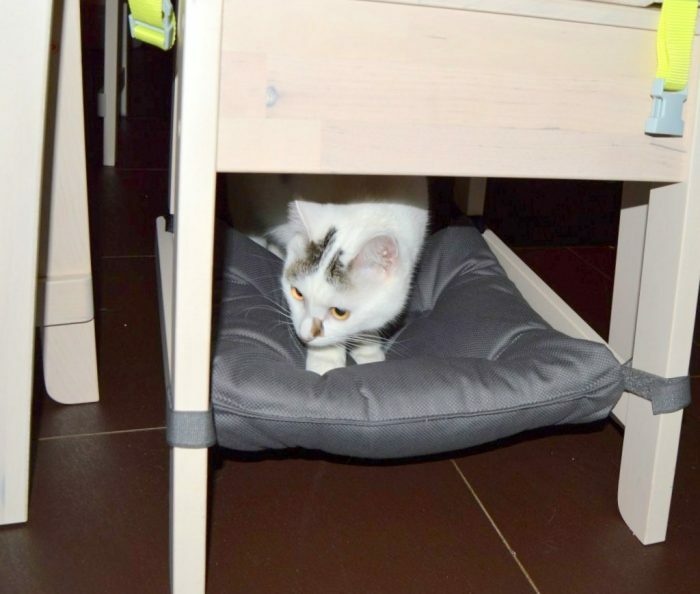 For more support for your cuddly kitty, it’s better to use a chair that has extra bars to stabilize the legs. From there you’ll use a needle and thread to attached two Velcro strips to the pillow. Afterwards, you’ll just make sure that the cushion is securely attached to each of the side legs. If you’re looking for a cheap way to turn your bathroom into a modern work of art consider adding in a SILVERÅN vanity an elegant upgrade. 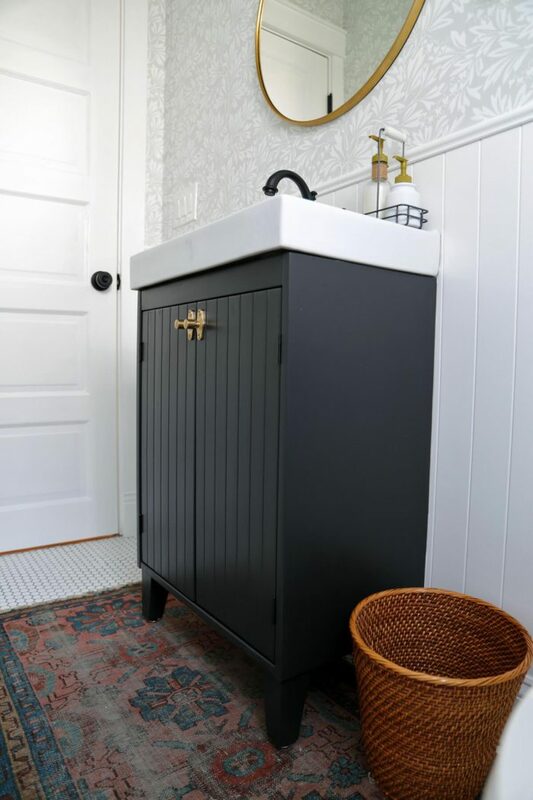 For those who are budget conscious, all you’ll need for this hack are the legs to support the vanity, hardware, and the paint color of your choice. You will need to do a little extra work to measure out the dimensions of your sink to ensure that it fits properly on top of the wooden frame. Once you have that figured out, you’ll attach the legs and paint the vanity. From there it can be attached to the sink and wall. You’ll have a beautiful, classy vanity to give new life to your bathroom. For many small homes, finding ingenious storage solutions is often frustrating. This is especially true in the kitchen where cabinet and shelf space is at a minimum. Never fear though, this IKEA hack allows you to get into those unused nooks and crannies to store dried goods and anything else that you might need. Using 4-5 BEKVÄM spice racks, wood varnish, paint, a few screws and some casters, you can create a rolling rack that will fit into those tight spaces. 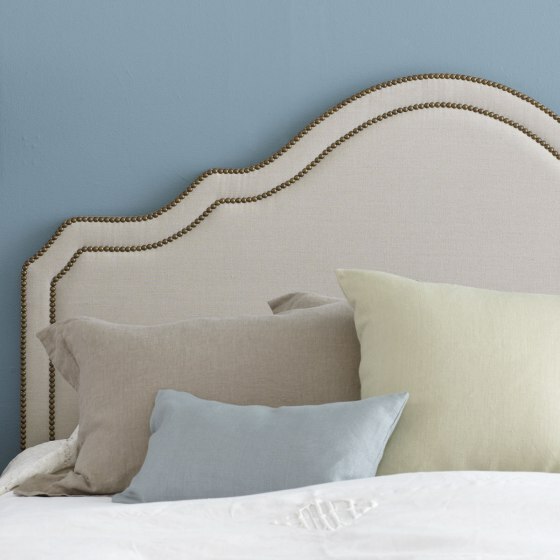 To give your bedroom a touch of whimsical elegance, consider giving the bed an upholstered backing. This is a relatively easy project that requires your favorite heavy-duty upholstery fabric, a nail gun, and padded stuffing. Let’s also not forget one of the most important items you will need for this hack, the upholstery nails. You’ll need to pull the fabric along with the stuffing tightly across the back of the bed frame. From there you’ll continue adding the nails until the fabric is completely taut against the frame and then you can hammer in the upholstery nails. 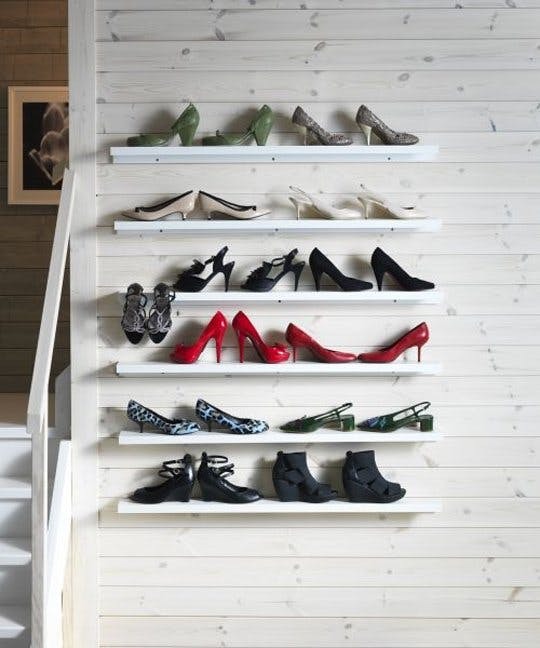 Who would have thought that a ledge normally used to display photos can also be used for shoe storage in the closet? 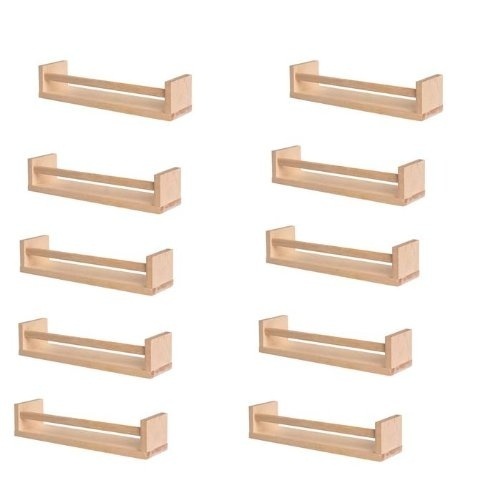 You’ll mount the RIBBA shelf the same way that you normally would using a few screws. To help keep your shoes in place you can use LOSJÖN knobs. This will secure your shoes to the wall so they don’t come clambering down on you want to get a pair of sneakers. For homeowners who want to add a space saver to a small room, a built-in closet might be the best solution. 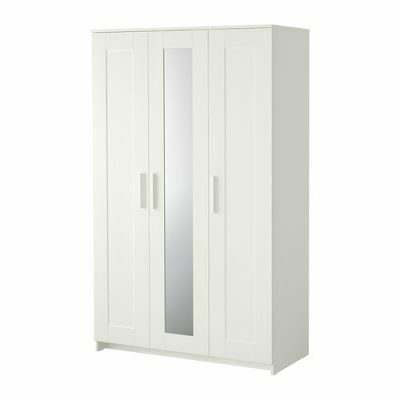 The BRIMNES closet normally stands alone, but you can easily convert a set of cupboards into a built-in. This is more of a renovation since you’ll need to knock a relatively large hole into the wall. Once you do that then you’ll place the wardrobe into the opening and secure it in place. Have you ever thought of using a colander to create your own cool light fixture? 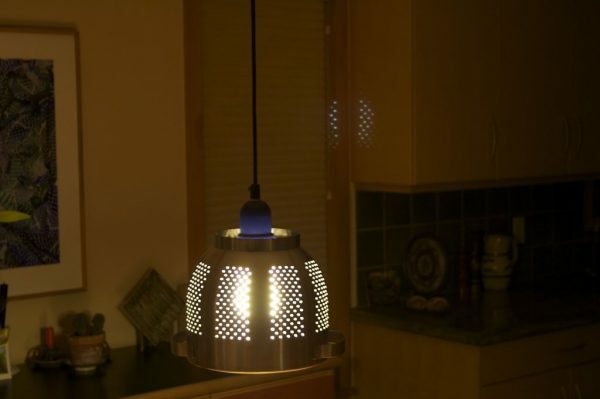 The ORDNING colander, while great for draining pasta, is also perfect to build your own pendant light. You’ll need to have a drill to add holes to the support board and colanders for the pendant. For the lighting, you can either purchase your own light kit or use a set of HEMMA lights. These are some of the coolest IKEA hacks that we’ve come across to create innovative storage solutions and decor for your home. There are many more things that you can do to add your own personal touch, but for now, you have a few ideas to help you revamp your home.